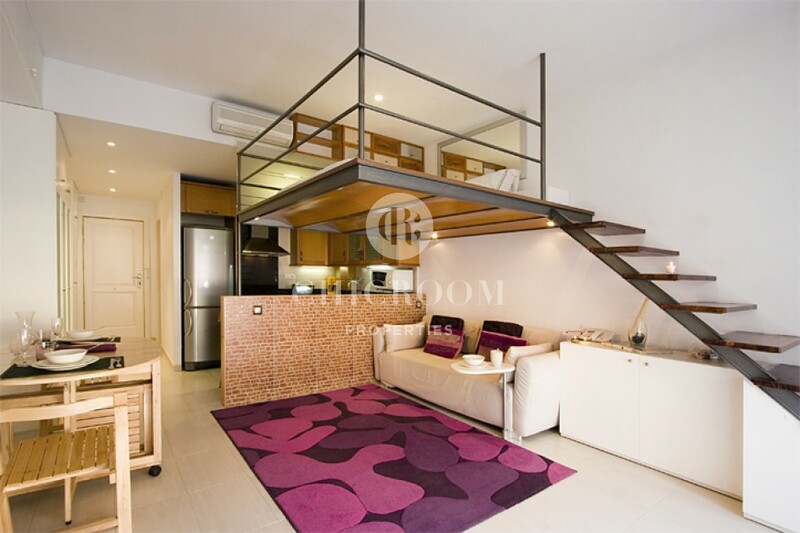 This bright furnished studio for rent in the Raval in Barcelona is the perfect place to call home in the city. 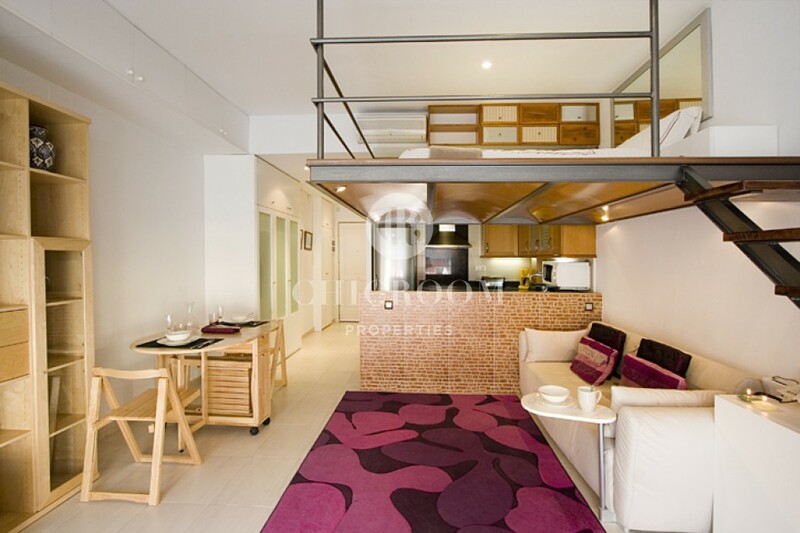 The 40m2 was expertly laid out by an interior designer to fully take advantage of the space. 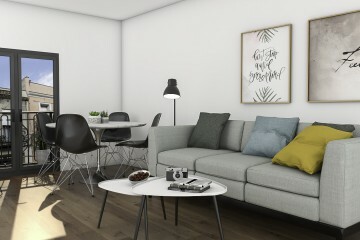 The result is a very cosy apartment that you’ll love spending time in! 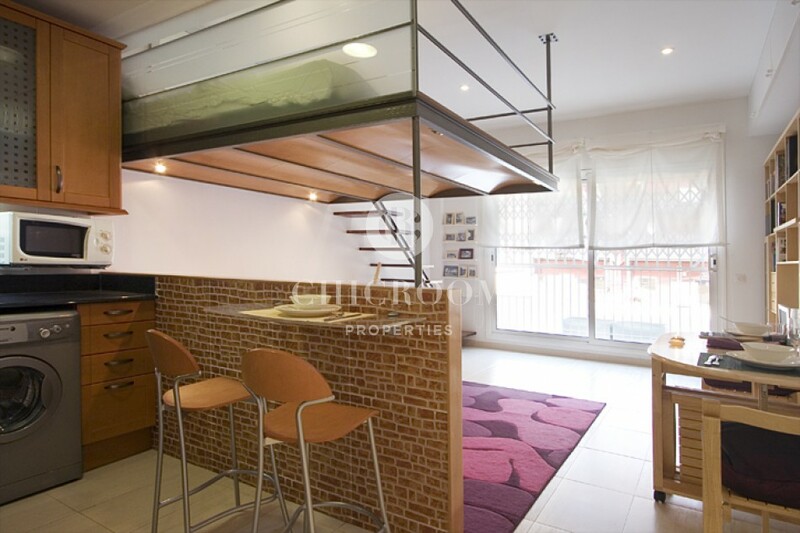 The main room is the living room, which is separated from the kitchen by a low brick wall, as well as from the bedroom, which is in a loft space above. 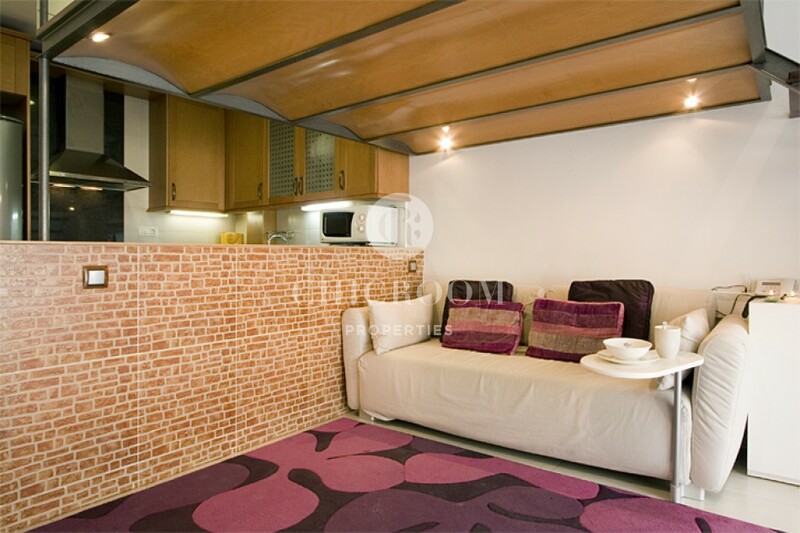 The living room contains a sofa that doubles as a pull-out bed, and a dining area, which comfortably seats two. Use this room as your sanctuary, and take advantage of its flat screen television with DVD player and the wireless Internet throughout the apartment. Behind the brick wall that partially conceals the kitchen, you’ll find a bar area with two more dining seats. 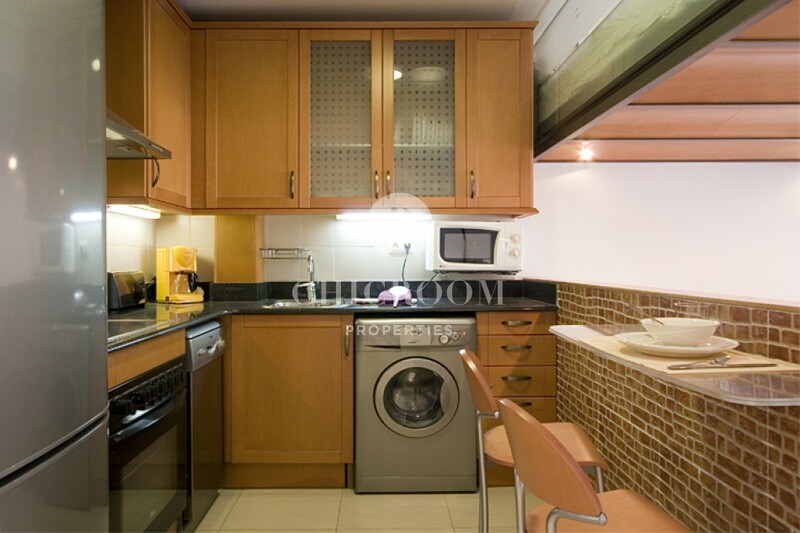 The fully equipped kitchen also contains all necessary modern appliances including cooktop, microwave, washing machine, dishwasher and coffee maker. The lofted bedroom is fully opened on all three sides, allowing the natural light from the living room windows to come through and making the entire studio feel large and airy. 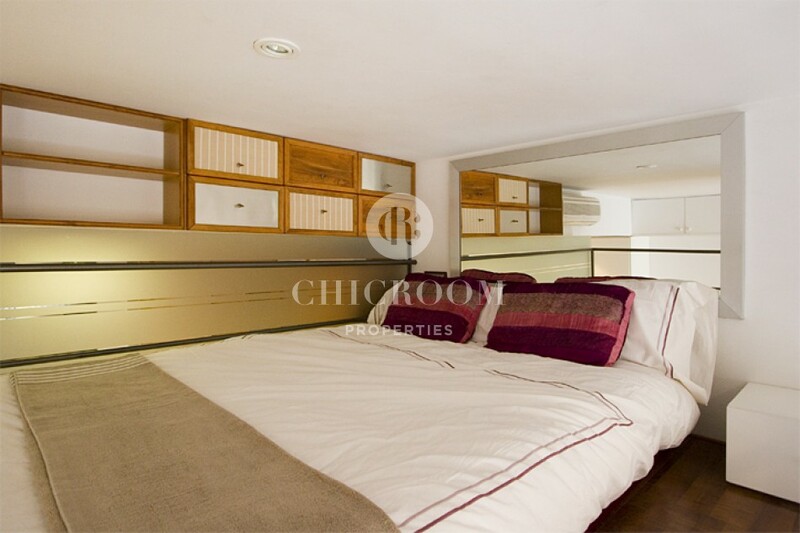 The bedroom also contains several drawers and shelves, allowing you a good amount of space to organize your personal belongings. 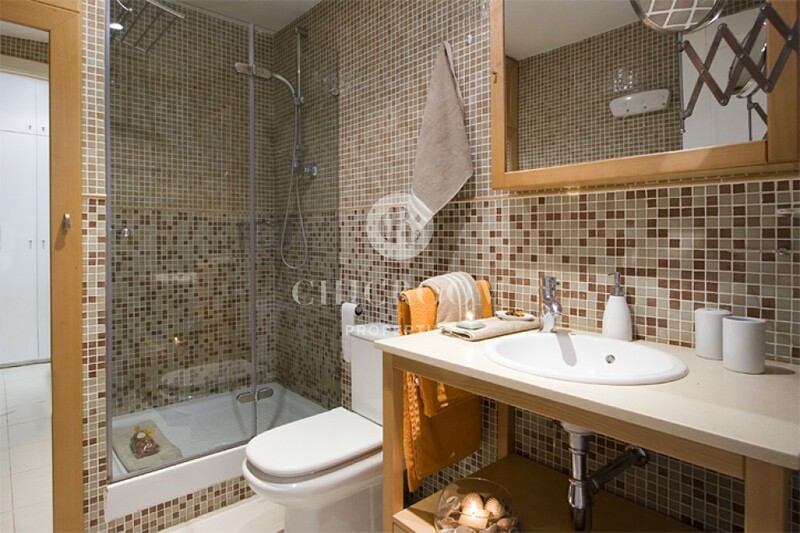 The apartment contains a bathroom with a shower. All bed linens and towels are included as well. 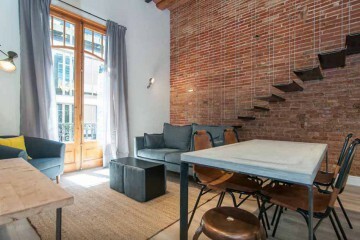 The furnished studio for rent in the Raval Barcelona is located very centrally: just a 15 minutes walk from Plaça Catalunya, Las Ramblas, and the historic Gothic quarter of Barcelona. 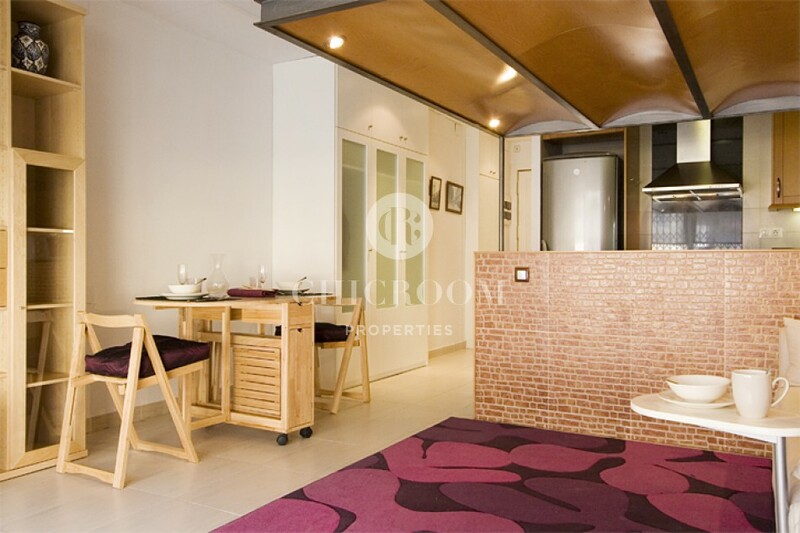 It is quite close to the city’s modern art museum as well and is within walking distance of shops and restaurants. 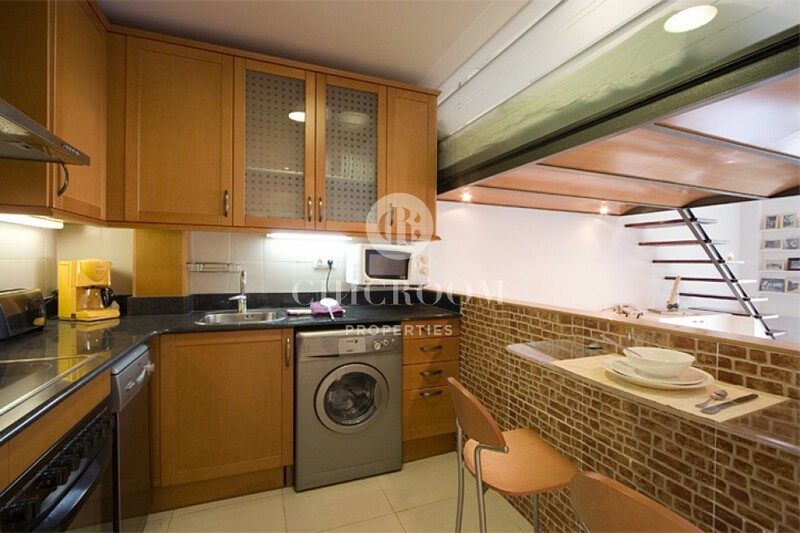 The nearby Sant Antoni metro station will get you anywhere else you need to go! 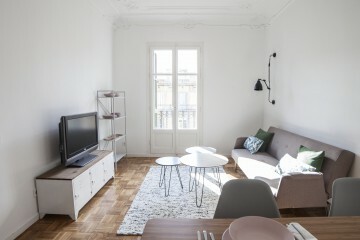 Contact us as soon as possible to organise a visit of this beautiful furnished studio for rent in the Raval in Barcelona.